Introducing....Kit Kittredge. At least our family's version. Anne has been doing a read-a-thon at her school all month so we read all 6 Kit Kittredge books last this month. Friday was the read-a-thon celebration at school so Anne dressed up. It was super fun making her costume. She told me I was the "bestest mom ever." I will remind her of that when she is 13. We found her dog Grace at Tuesday Morning's. I dressed up as Kit's mother for the day and Jack went as Sterling. (Sorry no pics of that). We also celebrated by watching the movie, which is fabulous if you haven't seen it. There's been a cancellation for this Saturday's SEW LOVELY retreat! If you are interested, email me right away...janna@mustardseedswriting.com. See full details of the class here. With the help of my dad, I transformed an old trunk (found in our side shed) into a beautiful clothing trunk for her American Girl doll. She LOVED it. And I have to say that she has been switching out her doll's outfits more now that they are organized and she can see everything. It's been much easier for her to keep things together and put away in her room. This was a somewhat frequent scene in the days leading up to Christmas. Beth opening up other people's gifts....she caused much re-wrapping to occur. Sorry things have been quiet here on the blog....We were at Matt's parent's house for nearly two weeks during the Christmas holiday. It was SO relaxing and fun but this week has been very busy. We've been re-entering the reality of life. It's not like anything has been URGENT!, but there's been a lot to get done here at home, which weighs on me: getting Christmas put away, purging and organizing each room to start the New Year clean...Jack's birthday party tomorrow, new freelance writing jobs, SEW LOVELY at the end of the month, pants to alter. And the desire to get things done without putting my children in front of movies for hours. I've been pressing into the Lord to help direct my days and use "open" time to do more reading with my kids, playing on the floor, etc. I always like to take time at the start of the year to refocus on what God wants me to be doing. It often starts with remembering that I am 1. Matt's wife, 2. a mother, 3. a friend, 4. writer/crafter/blogger. Some days it's very hard for me to keep these in order. I may be sharing more of my New Year's thoughts with you soon...You might enjoy Ann Voskamp's New Year post here. Blogging is something I really enjoy and it's not going away, but things may be a little quieter this month as I focus on getting thing in order in my home and my heart. 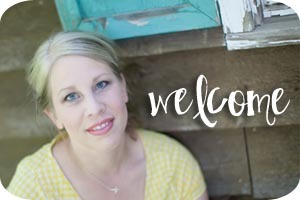 I started this blog because I wanted to "be intentional about teaching God's truth to my kids." This month, for me, that means that all my extra time is going to be devoted to just that (without the pressure to do a post on it). Anyway, just thought I would let you know where my heart is at these days and that I haven't just fallen off the face of the earth.Thanks for letting me ramble. And now, I need to deal with a little boy who is has climbed on the counter and is sticking everything imaginable into his pile of play dough and a baby girl who is throwing a fit because she can't get her baby doll stroller to do what she wants....ahhh such is the life of a domestic engineer. Did I mention my toilets are disgusting? More later, friends. More later.